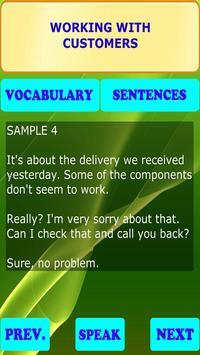 This app follows all above tips to help you speak English fluently. 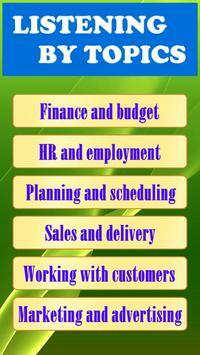 Business English is vital for international working environment, do you need it for your job? Communication skills are essential for work nowadays, do you need to improve them? English language skills are required for the position in multinational companies you 'd like to apply to? Spoken English is essential for your future advancement and success? 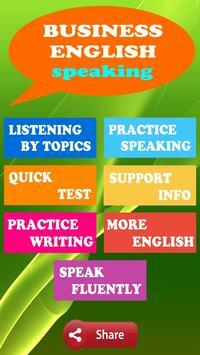 How to learn English is a hard question for you? How to speak English fluently is a challenge for you at this moment? 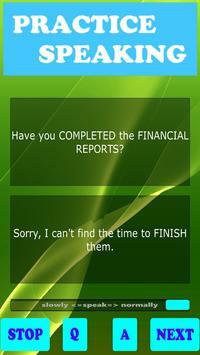 Congrats, this app is for you. English PRACTICE part will help you practice COMPLETE SENTENCES, which are essential for fluent understanding and speaking English. English TEST part will help you test COMPLETE SENTENCES, which are learned from LESSONS as well as PRACTICE parts. 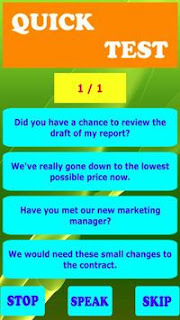 English WRITING part will help you practice listening and writing essential sentences in Business English. This will help you listen better as well as remember all important vocabulary and sentences for daily business conversations at work. Feature SPEAK FLUENTLY will allow you practice speaking with any sentences you want. 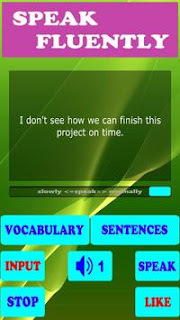 Just type or paste your own sentences and let the application help you to speak them correctly. This app is not only to help you quickly learn English for Business, but also to help you feel confident in multinational companies or any other English speaking environment. It's never too early to improve English skills as well as don't miss any opportunities to show great skills to your boss. Feel free to try it now.